Frodon and jockey Bryony Frost will line up in the Cheltenham Gold Cup on March 15 after booking their place with a three-quarter length victory in the Betbright Cotswold Chase at the track. The Paul Nicholls-trained gelding, who has progressed through the handicap ranks, displayed trademark exhilarating jumping. He is now as short as 12-1 for the feature race of the Festival after going some way to dismiss doubts over his stamina. Before Saturday, Frodon had never won beyond two miles, five furlongs. Saturday’s race was run over three miles and a furlong. 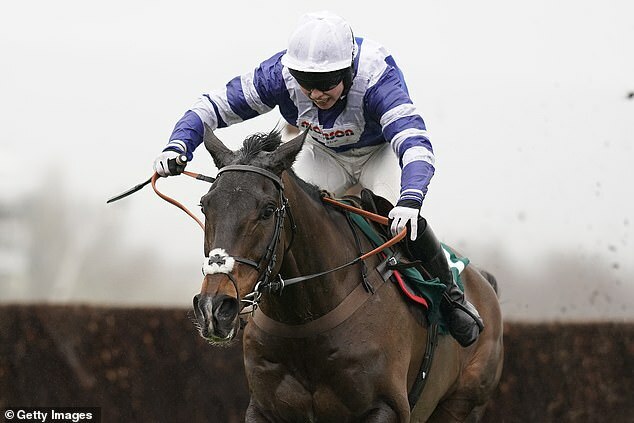 He will face a further furlong in the Gold Cup. 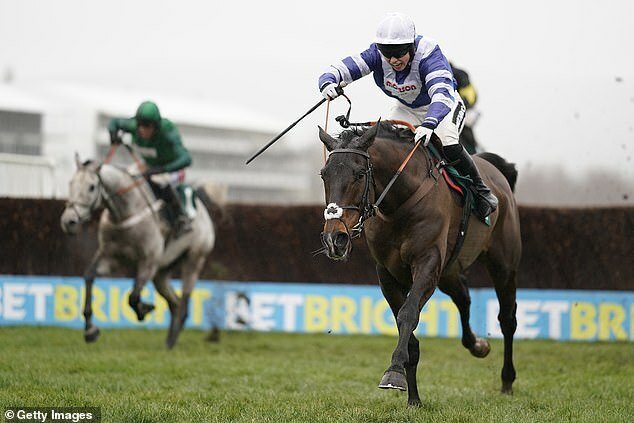 Having made all the running to secure his fourth track success, Frodon’s stride was shortening after the final fence as runner-up Elegant Escape bore down. 1. Ben Pauling-trained winner Kildisart will be a contender for the JLT Novices' Chase but he will have to jump more fluently than he did yesterday. 2. Cotswold Chase runner-up Elegant Escape deserves to take his chance in the Gold Cup and would have place prospects in testing ground. 3. Joseph O'Brien's Fakir D'Oudairies is favourite for the Triumph Hurdle after an easy win but punters beware. The trainer has other, possibly even better, contenders. 4. Paisley Park is now clearly the best of the British in the Stayers' Hurdle and can defend a prize which previously looked destined for Ireland. The last Cotswold Chase winner to land the Gold Cup in the same season was Looks Like Trouble in 2000. The Cleeve Hurdle has a much better record as a trial for the Stayers’ Hurdle at the Festival and yesterday’s winner, Emma Lavelle-trained Paisley Park, must have a serious chance on improving that record further. He is 7-2 favourite after winning by 12 lengths with Aidan Coleman. Meanwhile, Barry Geraghty has overtaken Richard Dunwoody to become the fourth most successful jump jockey in Britain and Ireland after the 1,875th career win on Birchdale at Cheltenham. Only Sir Anthony McCoy (4,348), Richard Johnson (3,588) and Ruby Walsh (2,737) have ridden more.